At AAA Tub N tile we offer a wide variety of services to help you transform your bathroom or kitchen into the room of your dreams. 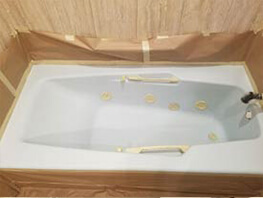 We offer professional bathtub refinishing and reglazing services for bathtubs in St Louis area homes that are damaged, outdated, or just an odd color. 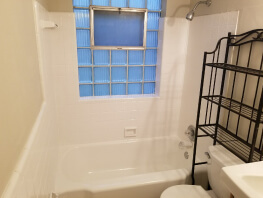 We also offer tile refinishing and reglazing services for any tile bath surround, shower surround, tile floors, and kitchen surfaces that need updating and repair. 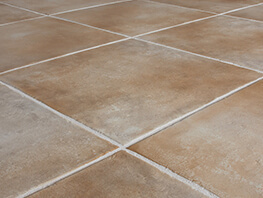 We specialize in saving our customers money by performing refinishing services on their ceramic services. 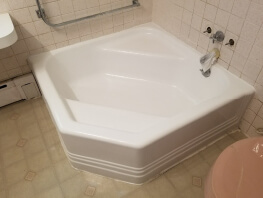 In most cases when you are remodeling a bathroom you may be considering removing and replacing the old bathtub or tile. However, our refinishing and reglazing services offer you more options that are budget-friendly and take less time than replacing the existing appliances. 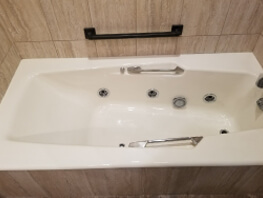 Our team also offers a number of other bathroom repair and updating services that can help you repair damaged tiles, install non-skid bath mats, and repair shower pans that have become cracked and damaged over time. 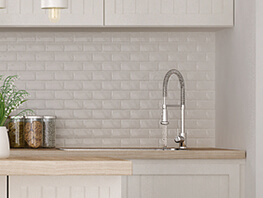 These services combined can help you update your bathroom, kitchen, or any other tile surfaces in your house for a fraction of the cost of traditional remodeling. Take a look at our full list of services below to see if we can help you transform your bathroom from old and boring to new and modern. 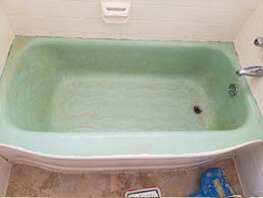 If you have noticed damage, chips, cracks, or holes in your bathtub or tile you should contact our experts. We can schedule an appointment for an initial inspection and repair estimate that will help you get on track with your bathroom or kitchen updates quickly. Contact our experts online or by calling 314-607-4611 today to schedule a commercial bathroom or tile refinishing appointment.